Whether you are looking to reach your optimum weight or training for a specific athletic goal, Judy’s functional core-stability, conditioning or strength training programs are all customized to fit your needs, allowing you to reach your fitness goals safely and effectively. Judy has been training a wide range of clients, with different abilities and goals, for the last 15 years. This depth of experience and continual pursuit of excellence in the coaching field allows her to build creative and exceptionally superior training programs. Challenge yourself ... Judy also offers excellent customized packages that combine personal training and natural nutrition, allowing you to expand your concept of comprehensive health and wellness. Structural Integration aligns and balances the body by lengthening and remodeling the fascia. 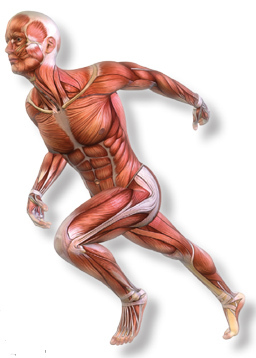 As fascia is lengthened, the muscles can move more efficiently. The practitioner will apply pressure to the body, working the entire fascial system in a systematic way. When restricted fascia is released and lengthened the body can return to its structurally optimal position. For more information: Fascial Fitness with Ivan Duben (PDF).